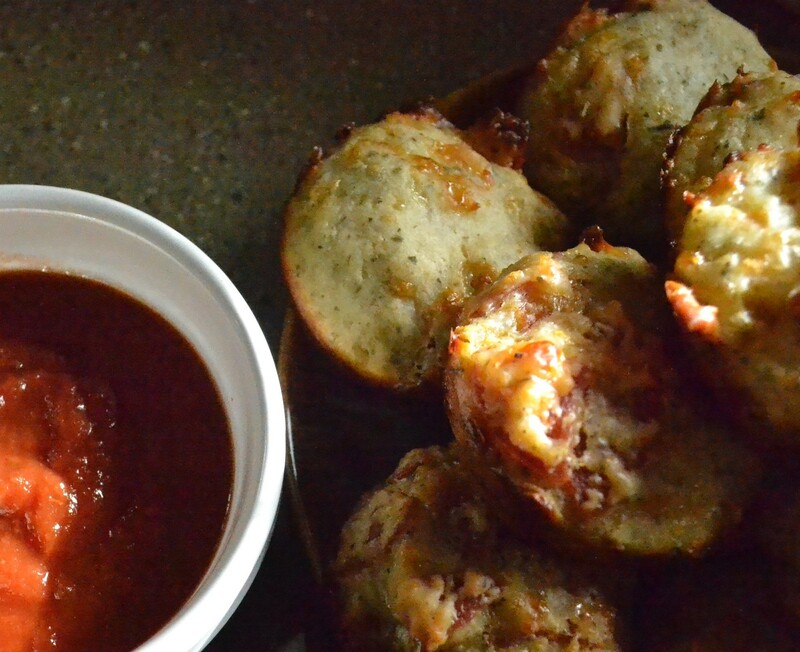 With a million possibilities swirling through my mind, finally, finally–it landed on “Pepperoni Pizza Puffs,” tweaked a tad from Lick the Bowl Good. Ah, yes. The perfect thing. Took a whole 20 minutes to whip up, and may I just say…Holy. Cow. 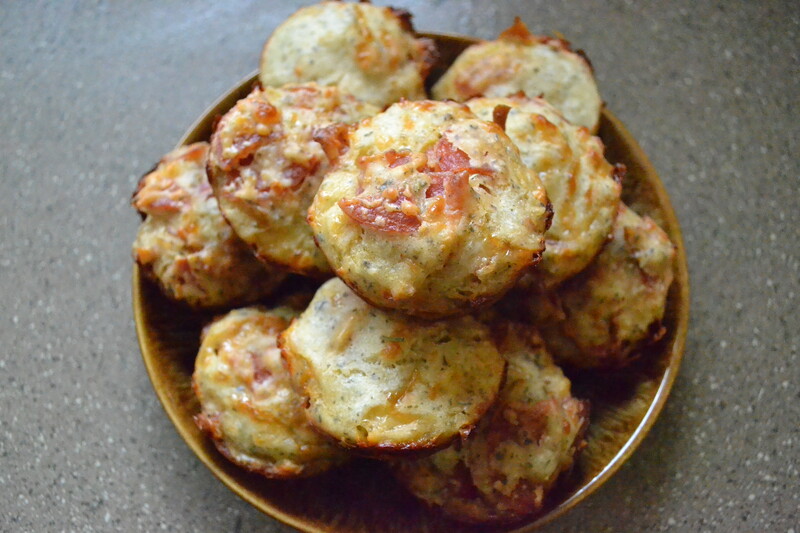 Soft, cheesy biscuits with tons of pepperoni and mozzarella layered through and through. But the magic doesn’t end there. Oh, no. Next you dip them in warm pizza sauce, and trust me–this one will quite likely make your eyes roll back in your head. Preheat oven to 375 degrees and grease two 12 cup regular muffin tins. In a large bowl, whisk together the flour, baking powder, Italian seasoning and salt. Next whisk in milk and egg–mix well. Stir in cheeses and pepperoni. Allow to sit for about 10 minutes. Stir the batter then drop by 2 tablespoons into muffin cups. Bake until golden brown–about 20-25 minutes. 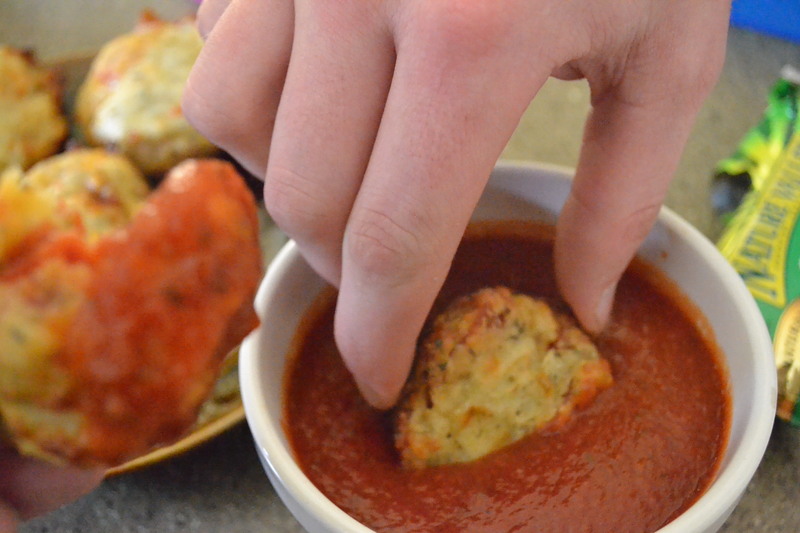 Warm the pizza sauce and serve with puffs. See if you have any better luck than I did at getting them to last more than 5 minutes! 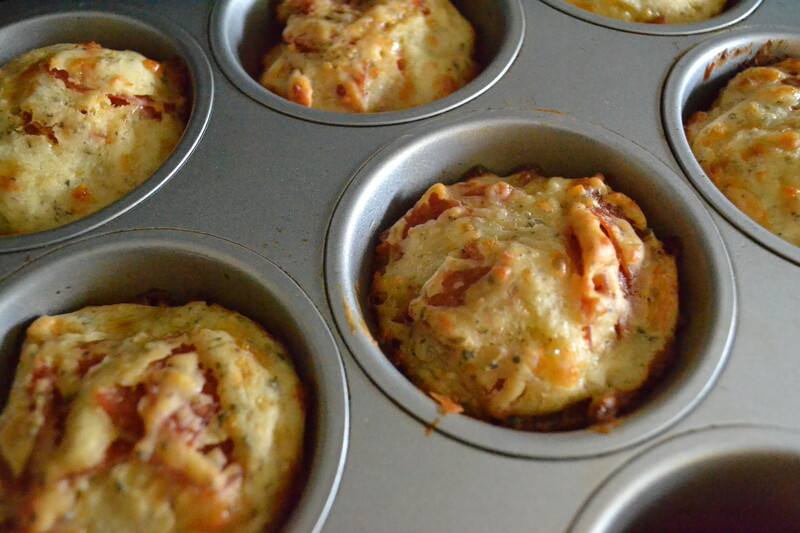 Preheat oven to 375 degrees and grease two 12 cup regular muffin tins. In a large bowl, whisk together the flour, baking powder, Italian seasoning and salt. Next whisk in milk and egg--mix well. Stir in cheeses and pepperoni. Allow to sit for about 10 minutes. 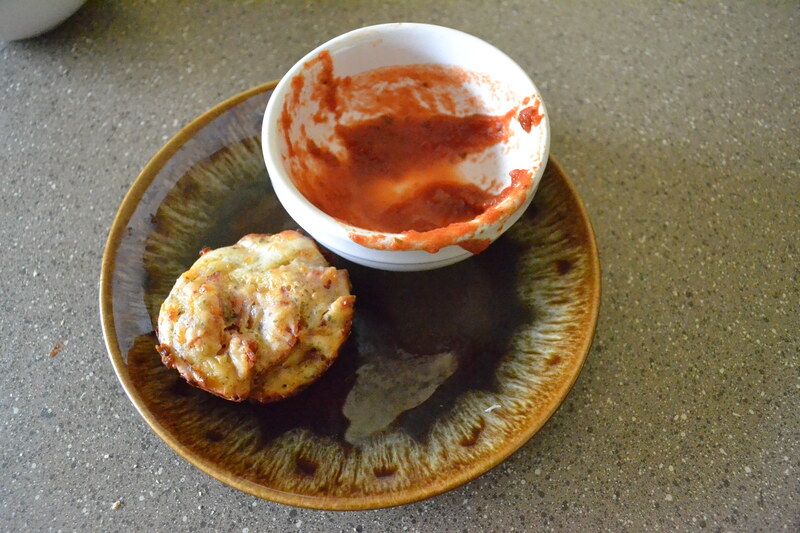 Stir the batter then drop by 2 tablespoons into muffin cups. 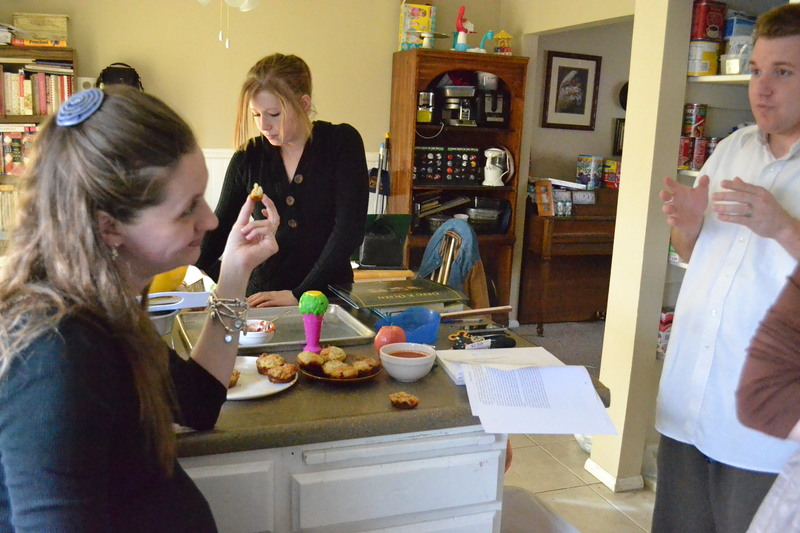 Bake until golden brown--about 20-25 minutes. These were yummy and gone way too fast! 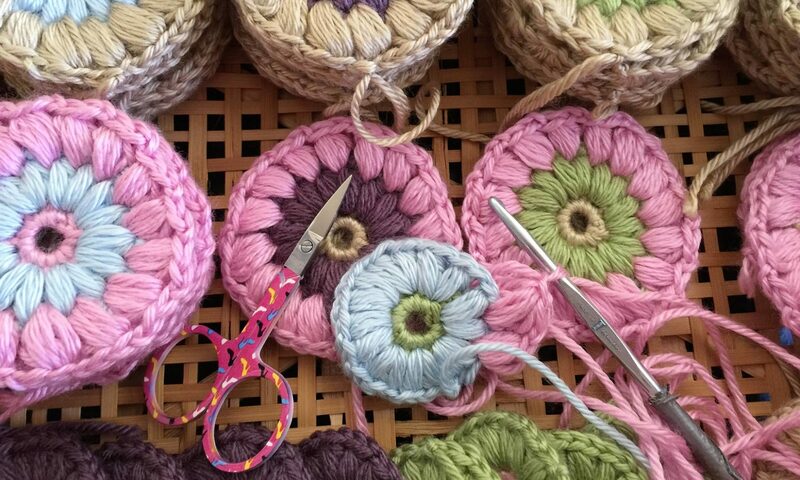 Good to know they are easy to make so that they will re-appear sooner than later! 😀 yUUUm! Um, hello!!! Those look SO good!!! I will have to try them soon! Thanks for the recipe!